The ability to use vision to guide the sequencing of motor output is a defining point in the development of fine motor competency. Acquisition of this skill allows for use of tools for self care, including utensils as well as grooming aids such as combs for hair care and razors for shaving. A growing child will also need to learn to use technological tools, hand held devices, classroom manipulatives, outdoor tools, indoor tools, craft tools, and even musical instruments. Use of vision to guide hand movements while using tools leads to greater efficiency and success in all of these activities. Children with Sensory Processing Disorders typically experience challenges in acquiring this last step needed for success with fine motor skills. Some children may have difficulty coordinating muscles of the eyes needed to focus upon and to guide the hand movements. Alternately, children with SPD may have difficulty with sustaining attention to the task, or coordinating the different types of movements needed for each hand. Activities to help with development of fine motor skills need to match each individualized child’s age, interest, and level of ability. Tracing activities that incorporate the use of resistive media such as Wikki Stix, provide firm touch sensory input that activates executive functions including attention to task needed for success with fine motor skills. Another example of resistive media would be use of chenille stems. Modeling shapes using chenille stems can be challenging, but fun when the activities are personalized to match interest and level of ability. Take a look at this Pinterest board. Use of tweezers/scoopers can be extremely helpful for teaching unilateral hand turning skills in conjunction with use of the non-dominant hand as a stabilizing assist. Consider trying Handy Scoopers or these Tongs and Tweezers activites. Food crafts are another wonderful source of motivation and encouragement for developing visual guidance of hand function skills. Multi-step activities that require visual maintenance of the organizational set needed to accomplish the activity are extremely helpful. 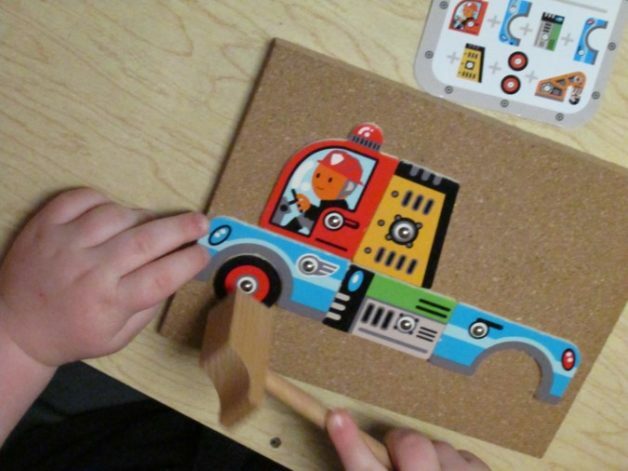 These types of activities foster development of sustained visual attention to task. Origami and flower crafts offer positive alternatives for preteens and older children, while craft stick projects work well with middle school aged boys. Taking time to develop fine motor skills during childhood provides a payoff that will be used throughout the lifespan. These skills are directed toward success not only in academic achievement, but in work and leisure activities as well.